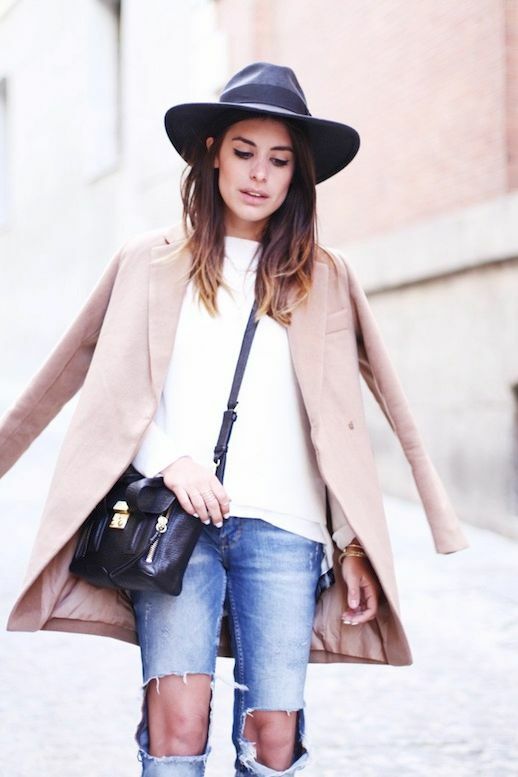 How gorgeous is Barcelona blogger Aida? Love her in the fedora hat, cropped ripped knee jeans and cut-out flat boots. The cat-eye liner is the perfect touch. See more shots of her look here. 0 Response to "BARCELONA BLOGGER STYLE | FEDORA HAT + RIPPED KNEE JEANS"